Campbell Campbell Edwards & Conroy, P.C. Hosts Attorney Retreat in Sunapee, New Hampshire – Campbell Conroy & O'Neil, P.C. 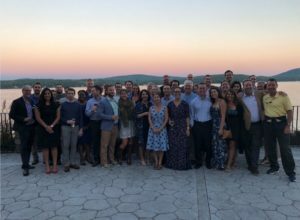 Firm members and associates gathered in Sunapee, New Hampshire over the weekend and enjoyed all the beauty the area had to offer. Productive attorney meetings followed by water sports in Lake Sunapee and delicious dinners combined to make for an excellent weekend!